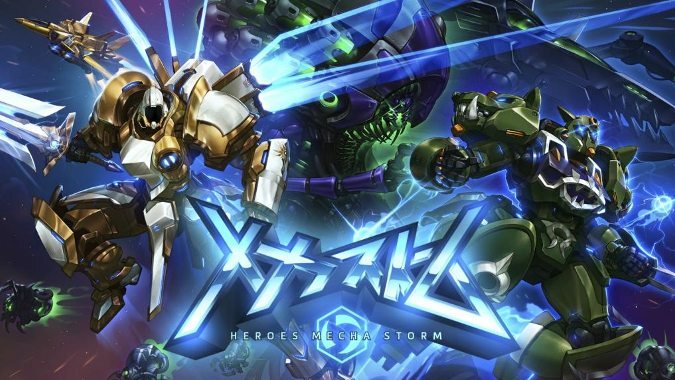 One of the things Heroes of the Storm is great at is giving us whole new skins and backstories for said skins. 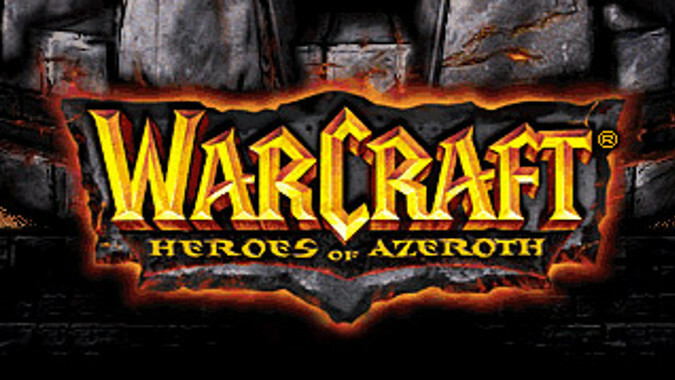 How would you customize WoW classes to make them more distinct depending on their race or faction? 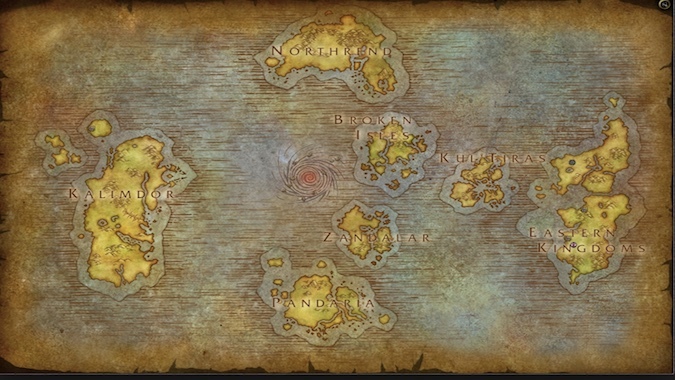 World of Warcraft, especially with Kul Tiran and Zandalari Druids, has started to expand what's been a generally limited scope of class-based customization/uniqueness. 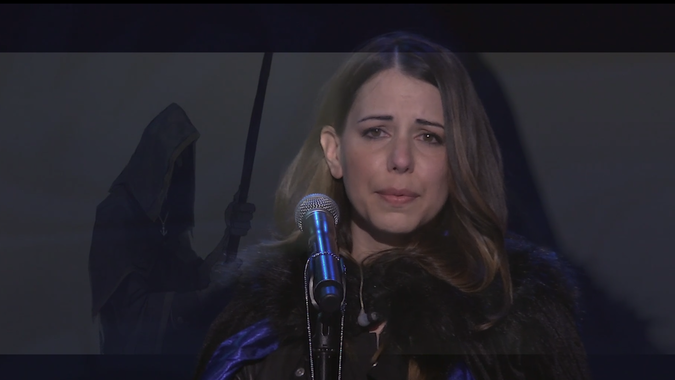 What kind of April Fool’s joke do you like? So now, dear readers, we turn at last to you -- what kind of April Fool's jokes have you enjoyed over the years? 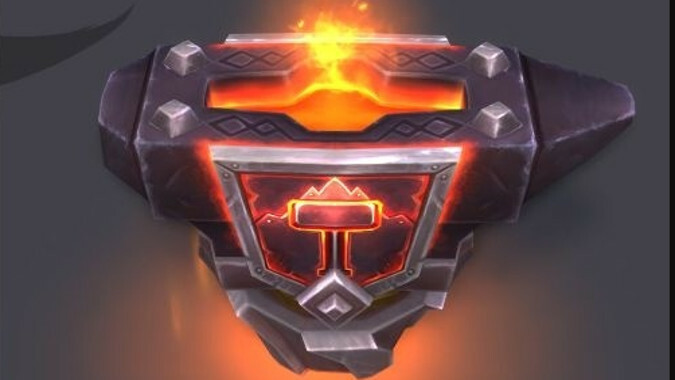 Is it the Molten Core console port that was designed for an Atari 2600? It totally is, isn't it? If not, why not, that one was brilliant guys. Come, share with us your favorite April Fool's gag and explain why those kids today just don't know what a good joke is... sorry, that's just me being old, carry on. 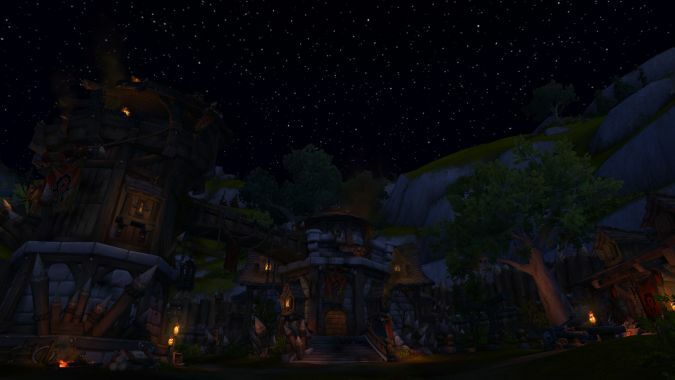 What would you change about the Arathi Basin Comp Stomp Brawl? 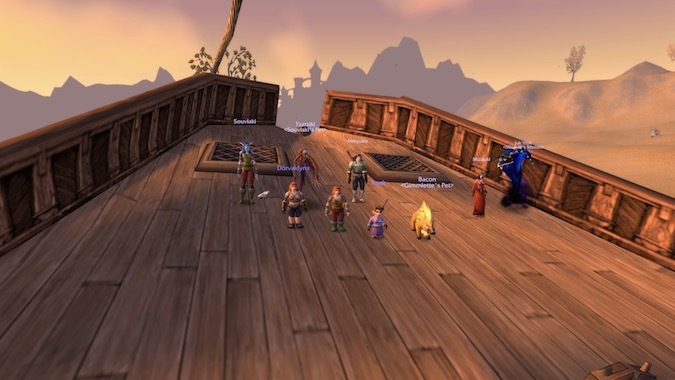 Last week, World of Warcraft saw the premiere of its first-ever PVP battleground that pitted players against a team entirely comprised of AI. What’s the goofiest thing you’ll spend gold to do? 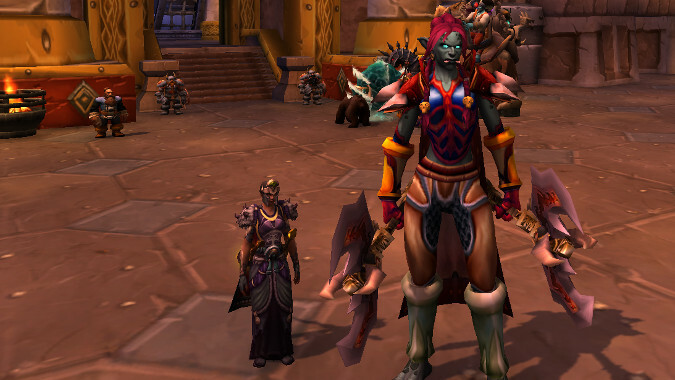 Look, I know it's silly to want to be a twelve foot tall Zandalari Troll standing in the middle of Ironforge. 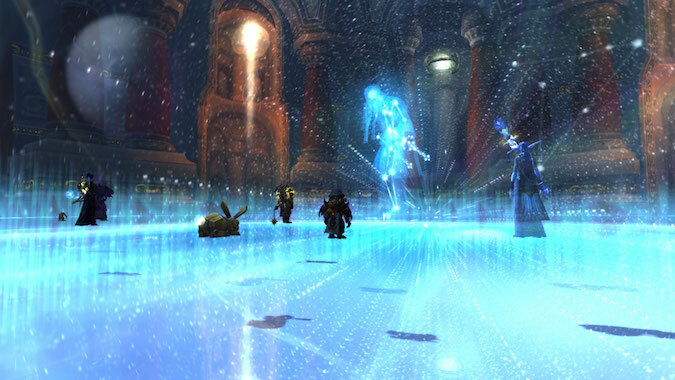 What are you perfectly content grinding out over several expansions? 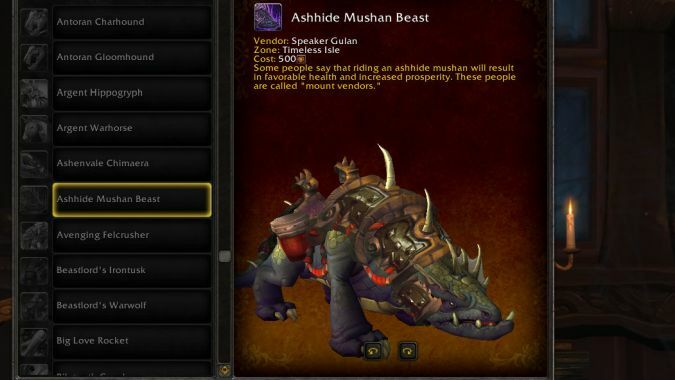 The Ashhide Mushan Beast was added to World of Warcraft back in Mists of Pandaria, some five-and-a-half years ago.